Subscribe now. Don't worry, you can unsubscribe at any time. 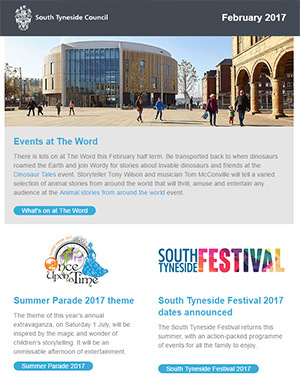 You can also stay up-to-date with what's going on across South Tyneside by following our social media pages.